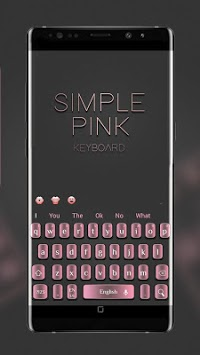 💟Simple Textured Pink is a simple and cool style keyboard theme for FREE download and Android stylized. Simple Textured Pink Keyboard Theme is designed to give you a faster and smoother mobile experience.Download it NOW! 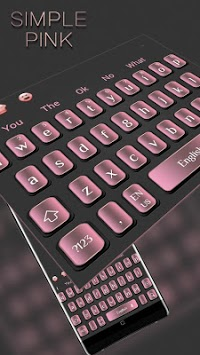 Simple Textured Pink Keyboard Theme offers you a better typing experience of simple and cool style! Simple Textured Pink Keyboard Theme is available now for simple and cool lovers! 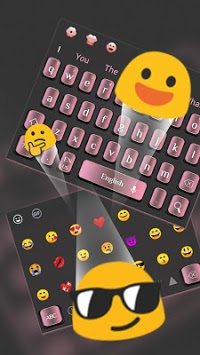 Simple Textured Pink Keyboard Theme will make your phone more fresh and stylish than ever! 💨Fluent Gesture typing-Typing will more efficiently and smoothly, just swipe through letters to enjoy easier typing. 💪Powerful Cloud Prediction-There are powered prediction function to accurately predict your input for cloud data. 🌞Auto correction-It will suggest you based on the messages you received. 👫Multiple Languages Supported- Support for over 80+ languages and counting. 😍More variety of GIFs and emojis- More than 1,000 emojis and GIFs are available and bring more fun to your tying experience. 🏃How to apply for Simple Textured Pink input method? Note: download Simple Textured Pink keyboard theme first.